Israeli actress famed for playing Wonder Woman honoured by the New York-based men’s magazine. GQ named Israeli actress Gal Gadot its 2017 Woman of the Year — rebranding the honour “Wonder Woman of the Year” in her honour. 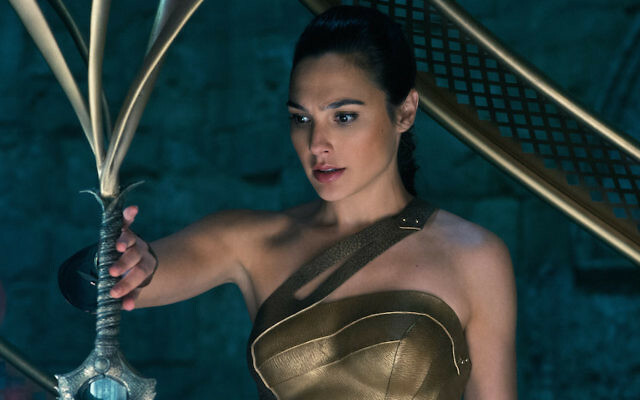 Gadot soared to international celebrity as the star of this year’s “Wonder Woman” blockbuster. Since the release of the movie, which grossed £313 milion ($412m) on at the box office worldwide, she has become a household name in the United States and a source of pride for Israelis. As Woman of the Year, Gadot will appear on the cover of GQ, a New York-based men’s magazine. Weaver traveled to Tel Aviv to interview Gadot. Dating back to 2003, GQ honourees have included actresses Angelina Jolie, Scarlett Johansson and Mila Kunis, musicians Rihanna, Gwen Stefani and M.I.A., and tennis star Maria Sharapova. This year, three men are being honoured with Gadot: Former NFL quarterback Colin Kaepernick, who launched a movement by kneeling on the sideline during the national anthem to protest police violence against African-Americans and has filed a grievance against the league saying the owners are colluding to keep him out; late-night talk show host Stephen Colbert; and Kevin Durant of the NBA world champion Golden State Warriors. Gadot, who has become a feminist icon, signed on to make a “Wonder Woman” sequel. But on Saturday, the Page Six gossip website reported that she was threatening to back out of the role unless producer Bret Ratner is ousted from the project. Ratner is one of many prominent men in Hollywood and elsewhere to be accused of sexual misconduct in recent weeks.